Sicily is the largest island in the Mediterranean Sea, located at the southern tip of Italy. The sunny, dry climate and diverse offerings of this beautiful locale attracts tourist from all over the globe. Home to some of the world’s best-preserved ancient Greek and Roman ruins, Sicily also boasts an entire region of almost purely Baroque towns, world-class artwork, spectacular scenery and luxury seaside resorts. While the sights and history draw many, the cuisine and wines of Sicily are also world-renowned. With locally produced vintages and olive oils consistently winning international competitions, gourmets, food lovers and the just plain hungry come to sample the spectacular Sicilian cuisine. Sicily’s strategic location was a significant factor in the Mediterranean’s ancient trade routes and once hosted two of the most enlightened capitals of the West – the Greek capital of Siracusa, and the Arab-Norman capital in Palermo. 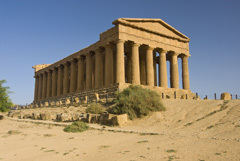 The culture of the island, especially in the areas of the arts, architecture, cuisine and language, has been strongly influenced by the varied rulers throughout Sicily’s history. The native Italians, Greeks, Goths, Romans, Vandals, Byzantines, Arabs, and Normans all ruled the island at separate times. As a result of the island’s diverse history, Sicily’s traditions and customs reflect many cultural influences, from medieval-inspired equestrian contests to its festivals to the Catholic religious feasts, celebrated as national holidays. 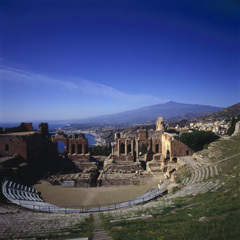 However, of all the celebrations and festivals, Sicily’s most popular attractions are its classical plays performed in Greek-style amphitheaters, the musicals and concerts in various opera houses and even the puppet shows performed on the road. Located on the east coast between Messina and Syracuse at the foot of the active volcano Mt. 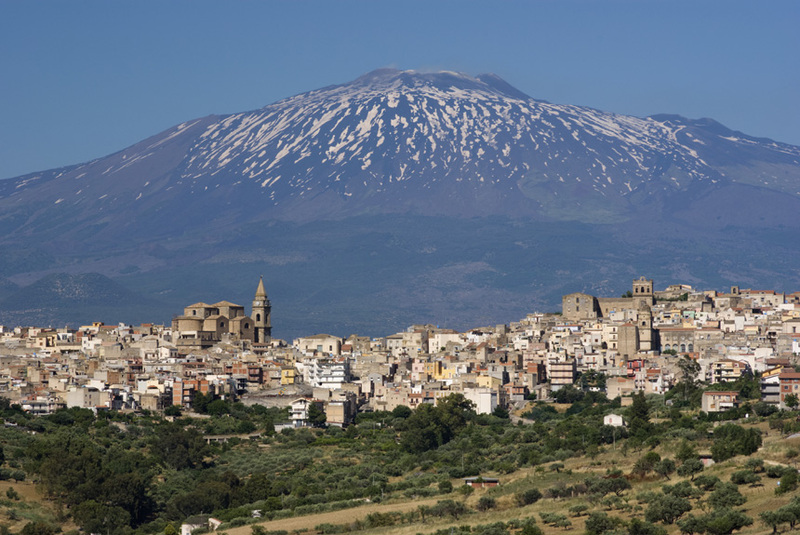 Etna, Catania’s picturesque landscape, including the sparkling blue waters of the Ionian Sea, make it a must see city on the island of Sicily. Catania is the second largest city in Sicily and the tenth largest in Italy. A prominent feature of the city is its Baroque architecture, thanks to the famed Giovanni Battista Vaccarini; an architect who redesigned the city after a catastrophic earthquake leveled the city in 1693. Tourists can visit the beautiful Mt. Etna through a train or shuttle from the central station. 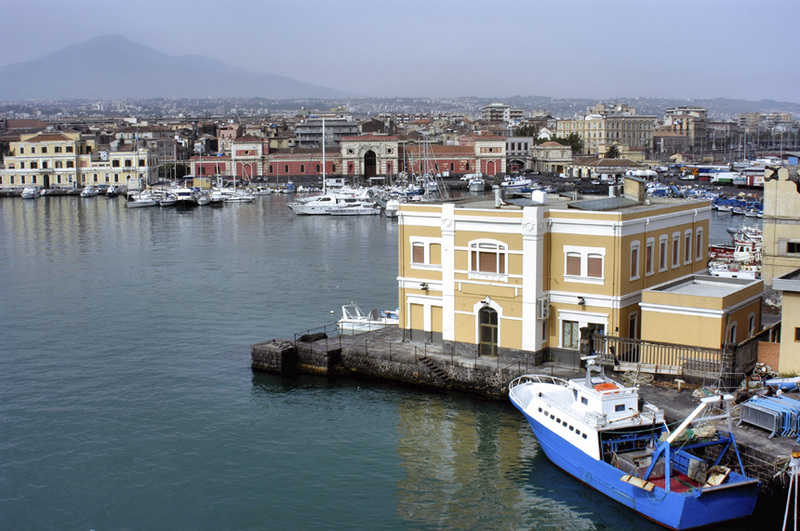 Catania is a port city and its huge fish market is a popular destination, held every morning at the Piazza Duomo. The food and clothes market at Via Etnea is another favorite attraction. 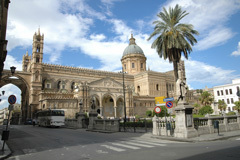 The capital and largest city of Sicily, Palermo is undoubtedly the island’s most prominent city. Located in the northwest area of Sicily, this historic city is noted for its culture, monuments and colorful markets. In Palermo, visitors are awed by the sight of the Massimo Theater, one of the most alluring theaters in all of Europe. The 15th century Palazzo Abatellis, once home to the harbormaster of Sicily, is home to the famed Galleria Regionale di Sicilllia, or Regional Gallery of Sicily. Other notable sights are the Church of Jesus, the Church of St. Francis of Assisi and the Palazzo dei Normanni, one of Italy’s most beautiful palaces and a notable example of Norman architecture. The city is also known for its fresh market known as the Vucciria where shoppers can purchase fresh local fruits, vegetables and fish. Located just outside the city are Capuchin Convent, catacombs holding mummified bones of thousands of Palermitans, and the beautiful castles La Zisa and La Cuba, once homes to the kings of Palermo. La Zisa is now home to the Islamic Museum. Taormina is a beautiful seaside resort that has attracted tourists from around the world since the 19th century. Located on top of Monte Tauro, Taormina provides visitors with one of the most breathtaking scenes in Italy—a panorama of citrus groves, Mount Etna and the Ionian Sea in the distance. Due to its mild and temperate climate, Taormina has been a popular residential area from ancient times. Traces of the old city can still be seen throughout Taormina’s architecture and winding medieval streets and passageways. 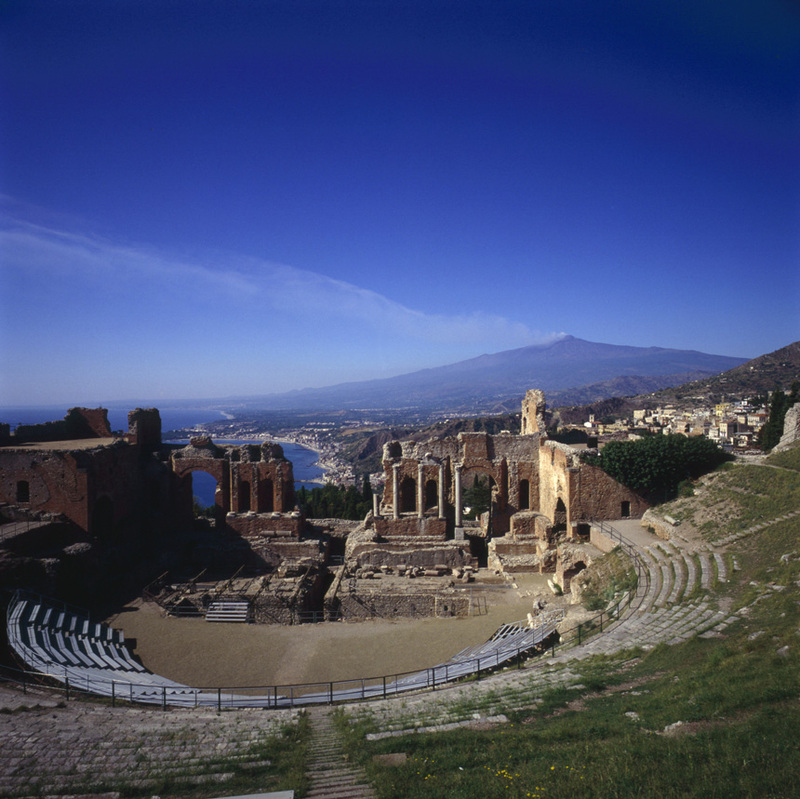 The ancient theatre in Taormina, the Teatro Greco or Greek Theater, is one of the most famous ruins in Sicily due to both its remarkable preservation and its stunning location, with the Mount Elna volcano and sea as a backdrop. The theater is still used today during summer months, but alternates seasons with Segesta, Sicily’s other large Greek amphitheatre. Other sites in Taormina include the Duomo, a Norman-Arab church built over an earlier Paleo Christian structure, and the Medieval Quarter, a picturesque medieval section with charming narrow streets and old shops. Corso Umberto is the main street through town that is lined with shops and bars. Just below Taormina is the beach resort of Mazzaro. Cable cars and buses can take you from Taromina to the excellent beaches where you can swim in the crystal clear seawater. For the adventurous, there are also excellent hiking paths between Taormina and the coast. Located between Cape Taormina and Cape Schiso lies Giardini Naxos. Once a quiet fishing village on the coast of the Ionian Sea, it is now a popular seaside resort destination famous for its beaches, panoramic views and bustling port. There is plenty to see and do in Giardini Naxos, from swimming, boating and shopping to a lively nightlife that includes discotheques, Karaoke bars, live bands and occasional impromptu dancing on the beaches. For a taste of history, there are excavations of the first Greek colony on Sicily to see in Giardini Naxo. The summer months, especially August, are busy and the beaches are crowded. Lipari, Vulcano, Salina, Panarea, Stromboli, Alicudi and Filicudi are the seven islands that comprise the Aeolian Islands north of Sicily. Blue waters, scenic mountain ranges and the famous Roberto Rossellini film Stromboli made these isolated islands world-renowned, and a haven for the island life enthusiast. UNESCO included the islands in their World Heritage list in 2000 because of the islands’ volcanic characteristics. 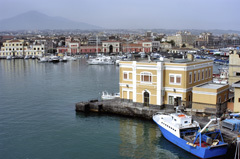 Hydrofoils and the slower car ferries run from Milazzo and Messina on Sicily and Reggio di Calabria on the mainland to the various islands, as there is no air travel to the archipelago. Lipari is the main island, offering the widest selection of lodgings, restaurants, shops and things to do and is a good base from which to explore the other islands. Vulcano’s two main attractions are the spectacular views from the volcano’s summit and its therapeutic mud baths and hot springs. Stromboli is the most spectacular of the islands with almost consistent explosions that make an unforgettable spectacle at night. Salina is the most fertile of the islands where most of the island’s popular Malvasia wine is produced. Panarea is arguably the most picturesque of the islands with its charming white houses and striking yellow ginestra bushes. 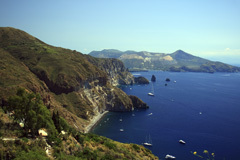 Filicudi and Alicudi have few facilities and are primarily for snorkelers and divers. The main attractions on Filicudi are the Grotta del Bue Marino (Grotto of the Monk Seal) and La Canna, a rock pinnacle about 1km off the island. Syracuse is on the southeastern coast of Sicily and is the capital of the province of Syracuse. With arguably the best sceneries in Sicily, the city boasts a beautiful harbor and a rich past. Founded by the Ancient Greek Corinthians, the city was once considered the most important city of the Magna Grecia and is split in two parts, Ortigia and Parco Archeologico della Neapolis (archaeological zone). UNESCO lists the city of Syracuse and the Necropolis of Pantalica in the Syracuse province as World Heritage Sites. The island of Ortigia boasts medieval buildings, Baroque palaces and churches. There are many remarkable sights on Ortigia, including the Piazza del Duomo, a 7th century cathedral built on top of a Greek temple dedicated to Athena, and the Tempio di Apollo. Other popular sights are the Fontana Aretusa, the Chiesa di Santa Lucia alla Badia, and the Palazzos Beneventano and Arcivescovile (Archbishop’s Palace), which some consider to be one of the finest Baroque squares in all of Italy. A trip to Syracuse would not be complete without visiting Parco Archelogico della Neapolis and the Teatro Greco (Greek Theatre), one of the largest built by the ancient Greeks. Another fascinating attraction is the Museo Archeologico Paolo Orsi, which contains some of the best and most extensive archaeological collections in Europe. 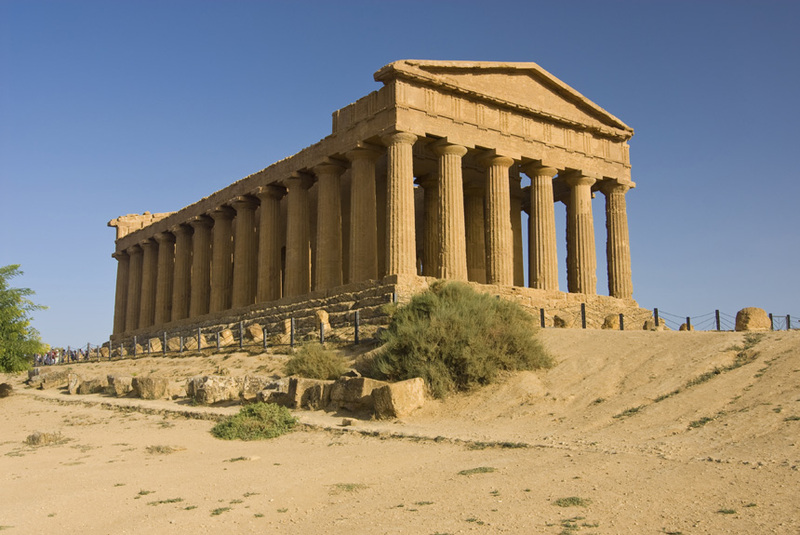 Located at the southwest coast of Sicily, Agrigento is famous for the Valley of the Temples, a UNESCO World Heritage Site. These well-preserved ancient temples are located on the outskirts of town and can be easily accessed via a short train ride or a scenic walk. For a taste of local artwork, visit one of the exhibits at the Museo Archeologico. The house of Luigi Pirandello, author of Six Characters in Search of an Author, has recently been opened to the public and is well worth visiting. Located just three miles off the coast of southern Italy’s mainland is the port town of Messina, known as the door of Sicily. Its sickle shaped port and proximity to the mainland provided the perfect location for a trading post. Founded by the Greeks, Messina remained prominent for centuries under Roman, Byzantine and Norman rule. Due to the destruction of much of the original structures of the city due to several earthquakes, the most destructive in 1908, and the Allied bombardment in 1943, the city is relatively young architecturally. Messina is popular for its festivals, most notably the Ride of the Giants, celebrated on the 13th and 14th of the month of August. Another popular destination is the Regional Museum of Messina, which showcases the works of Caravaggio, one of Italy’s most popular artists. While in Messina, be certain to see the world’s largest astronomical clock, the Orologio Astronomico, in the Piazza del Duomo. Set in a 197-foot bell tower, the clock comes to life at the stroke of noon with bronze mechanical figures moving to the sounds of Ave Maria. The Norman Cathedral and the Church of Santa Maria Alemanna (Saint Mary of the Germans) are lovely architectural destinations as well. The Cathedral of St. Gerland in Agrigento dates back to the 11th century, though after many restorations it has accumulated many unique alterations. Particularly noteworthy is the unfinished bell tower, which was begun in the 15th century, as well as the wooden ceiling which resembles a hanging garden. 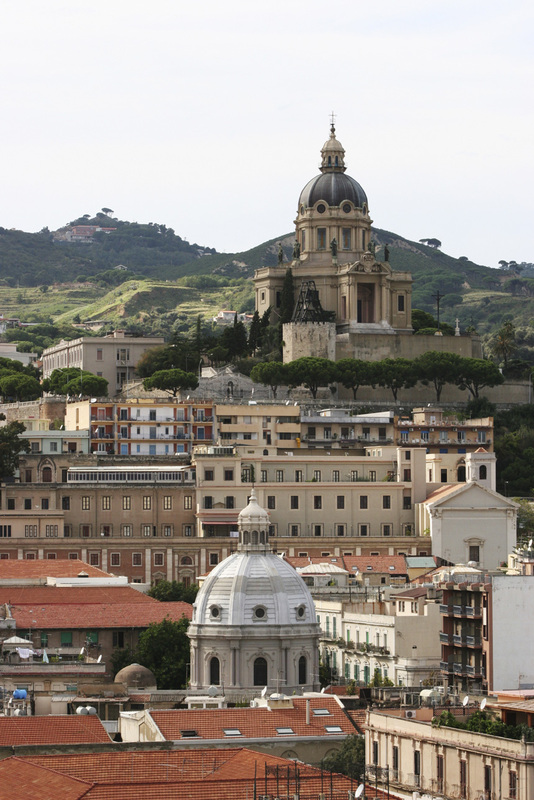 The cathedral sits atop a cliff overlooking Sicily’s southern coast. The Museo Regionale Archeologico of Gela opened in the 1960s and contains many impressive Sicilian artifacts. The museum’s superb collection of terracotta (the largest in the world), silver coins, and ancient vases are worth the visit to Gela. The Stromboli Volcano, which forms the northeastern-most part of the Aeolian Islands off the Sicilian coast, is one of the most active volcanoes on Earth and has been erupting continuously since 1932. Its eruptions formed the island of itself starting around 160,000 years ago, and today the distinctive style in which it erupts has spawned the word “Strombolian,” used to compare to other volcanoes. Stromboli was referenced in Jules Verne’s 1864 novel Journey to the Center of the Earth. Construction began on this Gothic-style palazzo in 1307 under commission by the elite Chiaramonte family, an influential family of the Aragonese period. The last Chiaramonte to occupy it was Andrea, who in 1392 was executed just across from it. It then became known simply as “lo Steri,” a term which comes from the word hosterium which describes a fortified dwelling. It then became the residence of Martin I of Aragon, Blanche de Navarre, and then Spanish viceroys. In the 17th century it took on the role of Tribunal of the Inquisition until the establishment’s abolition in 1782. The Catacombs of St. John (San Giovanni) are a vast system of underground tombs, most notably used as early Christian burial sites during Roman times, when Christians were forbidden from burying their dead within city limits. The catacombs are accessible through the Chiesa di San Giovanni, now mere ruins of its former self. The church dates back to the 6th century, though twice it was destroyed by earthquake. The Catacombe di San Giovanni are the only subterranean burial grounds in Syracuse open to the public.